Billy Dee Williams chose the path of showbiz and entertainment at a young age and proved himself worthy of the industry. The actor, singer, and writer made a name for himself in the 1950s, starting out with stage productions and gradually to the big screens. He will not be easily forgotten for his notable works which include his roles alongside Diana Ross in Lady Sings the Blues, Mahogany, and others. There are many things to thank Billy Dee for. He is mostly acknowledged for being a great contributor in the sustenance of TV and film in the country. Williams is not just ‘Lando Calrissian’ in Star Wars, there are lesser known facts about the legendary actor which are available below. He was born on April 6, 1937, to his parents Loretta Anne and William December Williams Sr., his humble parents who did several jobs to put food on their table. Williams attended The High School of Music & Art in Manhattan. He was a classmate to actress Diahann Carroll with whom he later played a role on the soap opera Dynasty. He always wanted to entertain; Williams pulled off a great performance at his first Broadway show; The Firebrand of Florence in 1945. It wasn’t the last of him, the actor made a return to Broadway in 1960 in the adaptation of the novel – The Cool World. Also on Broadway, he put up performances in the following productions – Taste of Honey, Fences, and I Have a Dream where he played the role of Martin Luther King Jr. While he featured on Broadway shows, Billy Dee Williams kept trying his luck with the films faculty until 1959 when he made his film debut in The Last Angry Man. He kept on trying other minor roles until he landed a major one in the popular movie Brian’s Song (1971). The movie which was a massive hit pushed Billy to prominence, earning him some awards and accolades including nominations at the Emmys. The 70s saw lots of shades of the actor who was already enjoying his Brian’s Song fame. Some of his 70s movies include blockbuster movie Lady Sings the Blues where he starred opposite Diana Ross in the Billy Holiday biopic. The movie grossed millions of dollars even beyond expectations, earning lots nominations – it was nominated five times at the Academy Awards. Billy entered the 1980s in a new style; with sci-fi roles. 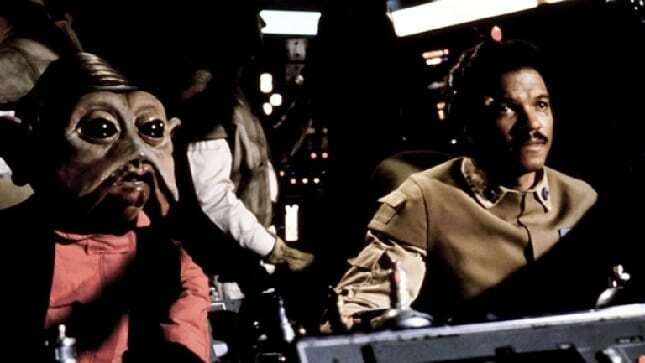 He played ‘Lando Calrissian’ in the popular fictional sci-fi epic movies; The Empire Strikes Back and Return of the Jedi. For his outstanding roles in the movies, he played a voice role for the same character in Star Wars Jedi Knight II: Jedi Outcast video game, as well as other Star Wars sequels. However, Calrissian was not cast in Star Wars: The Force Awakens after Disney acquired ownership of Lucasfilm 30 years later. Billy Dee Williams enjoys an enviable net worth estimated at $9 million. The actor’s career which spans more than 50 years portrayed greatly, his versatility and uniqueness which paid off a great deal for him. While he has his numerous movies to thank for his earnings, Billy made a lot of money from various endorsement deals as well as advertisements for various brands. For his notable works, the legendary actor earned a star on the Hollywood Walk of Fame in the year 1985. He also received a lifetime achievement award from the African American Film Critics Association in 2012. This is to mention a few of his awards and accolades. The actor was cited in John Willis’ 1974 Film Annual “Screen World” book as one of the most promising movie personalities of 1973. It could be his career or his personality, but there was something unstable about the personal life of Billy Dee Williams who grew up with his grandmother. He was married three times to three different women whom he divorced under vague circumstances. The actor was first married in 1959 to Audrey Sellers with whom he had a son, Corey Williams. A few years after, the couple got a divorce, which the actor admits saddened him to depression. Billy married for the second time in 1968, to Marlene Clark, a model and an actress. However just two years after their wedding, they split in 1971. The actor moved on the following year when he married Teruko Nakagami, who was a mother of one (a daughter) at the time. The couple welcomed a daughter Hanako in 1973. The couple had filed for divorce in 1993, although some sources reported that they got back together in 1997. Billy Dee was not just famous in the movies and on Broadway, the actor was also featured in tons of advertisements. One of his notable advert campaigns was for Colt 45 brand of malt liquor, which he did in the 80s and 90s. Many criticised the actor for his involvement in the liquor commercials, saying he was misleading the public by portraying a patronage of the products. The actor also featured in various Television shows including That ’70s Show, Jimmy Kimmel Live, The Cosby Show, and tons of others. He dabbled into music in the 60s when he recorded an LP Let’s Misbehave. He has also had a legal case. In January 1996, the actor was arrested for allegedly beating his girlfriend. He was soon released on a $50,000 bail.